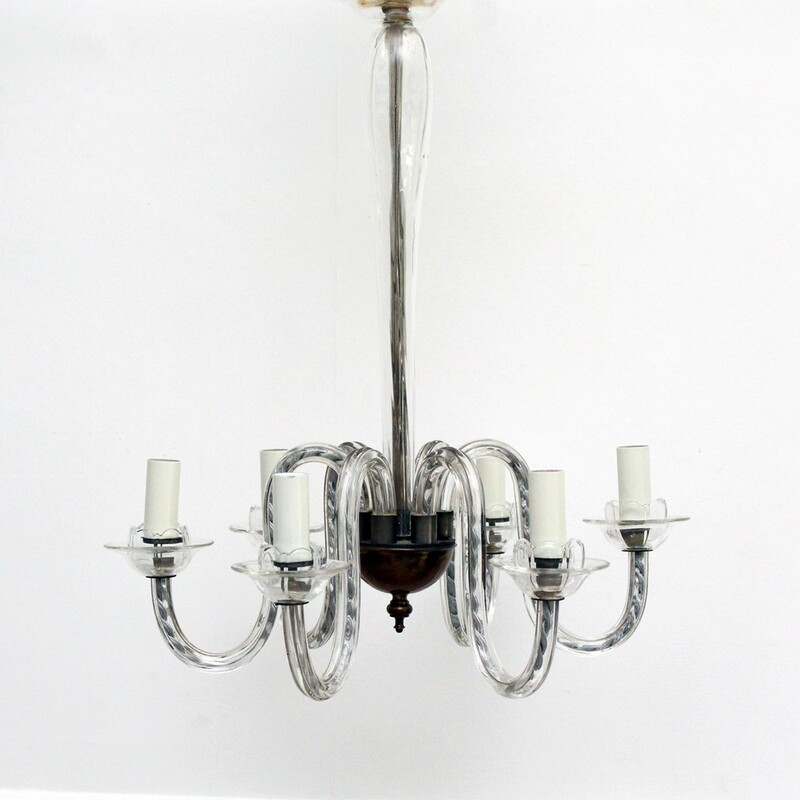 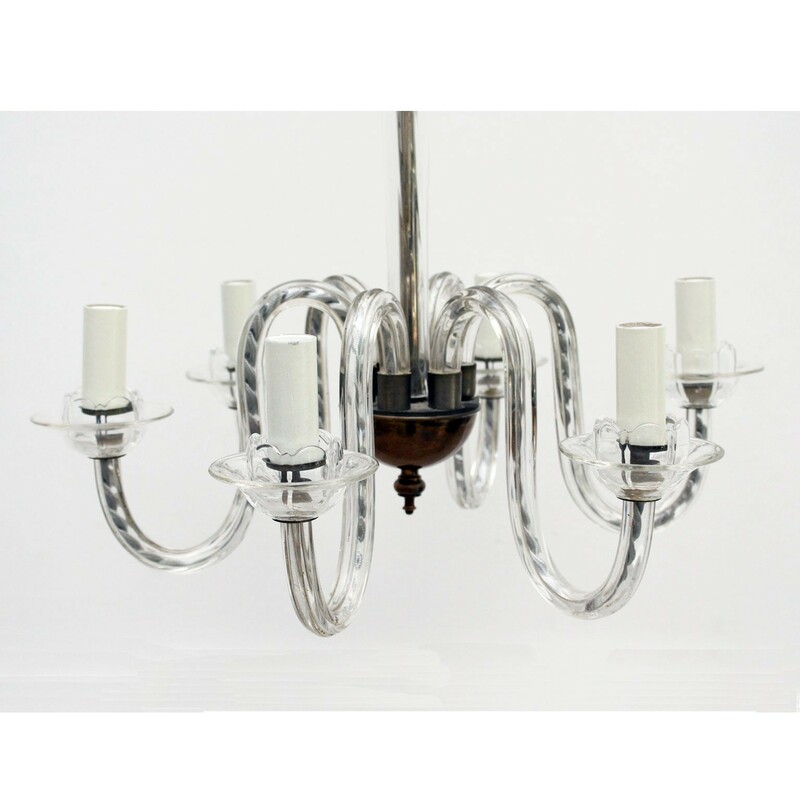 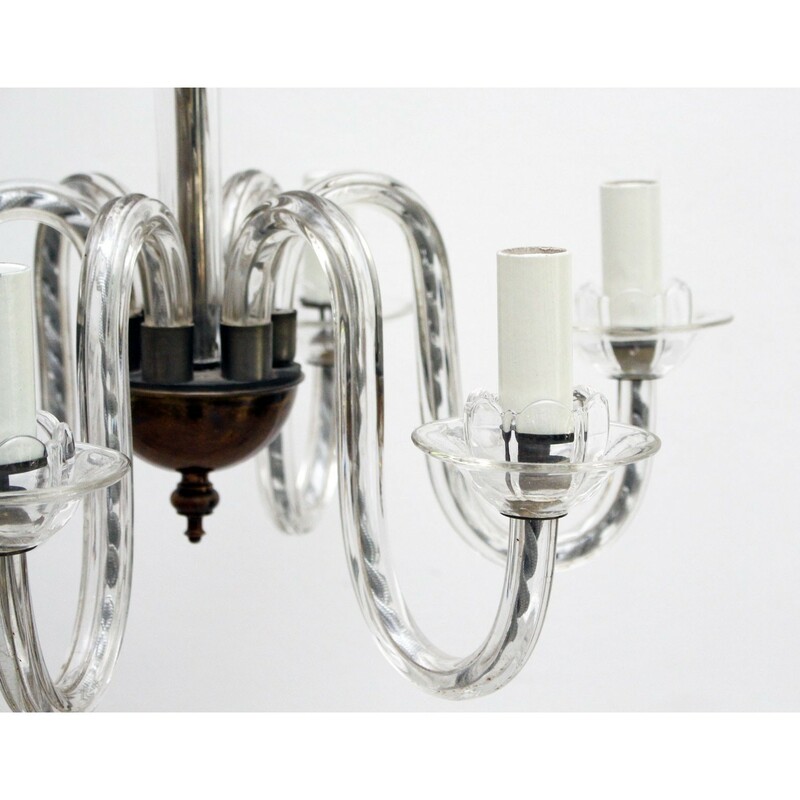 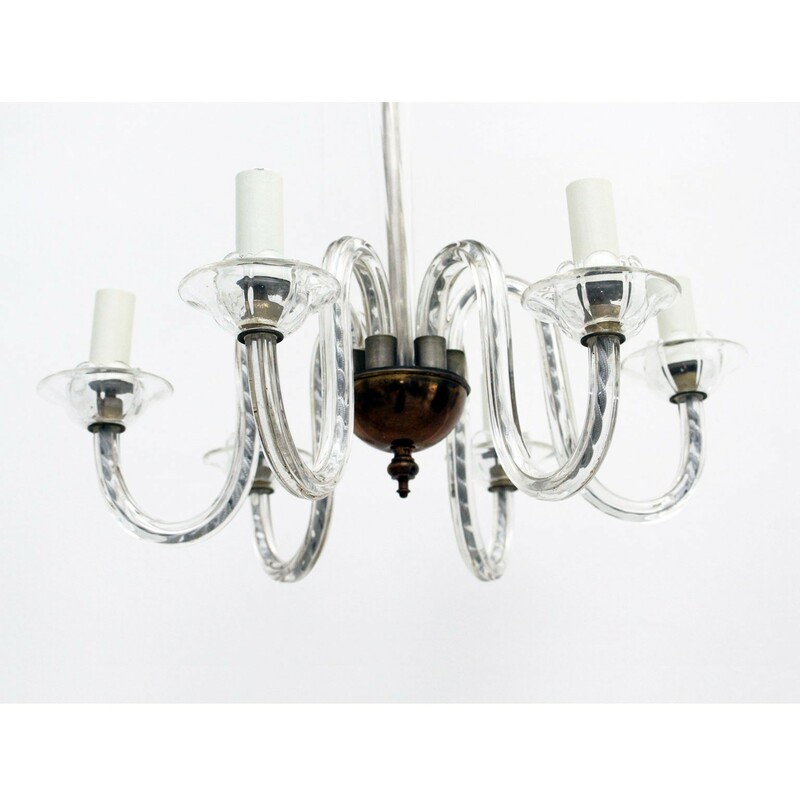 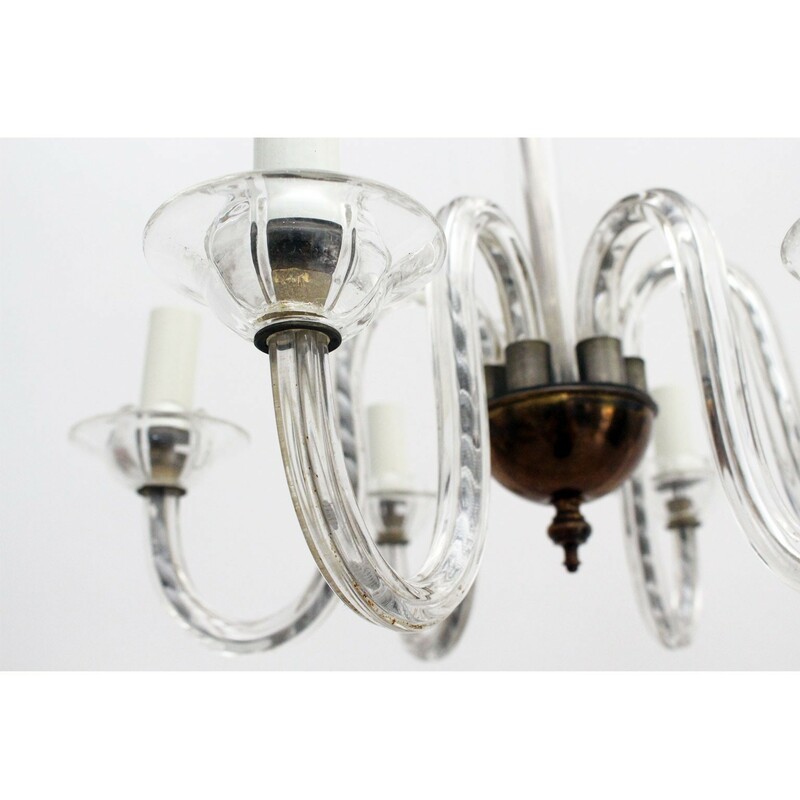 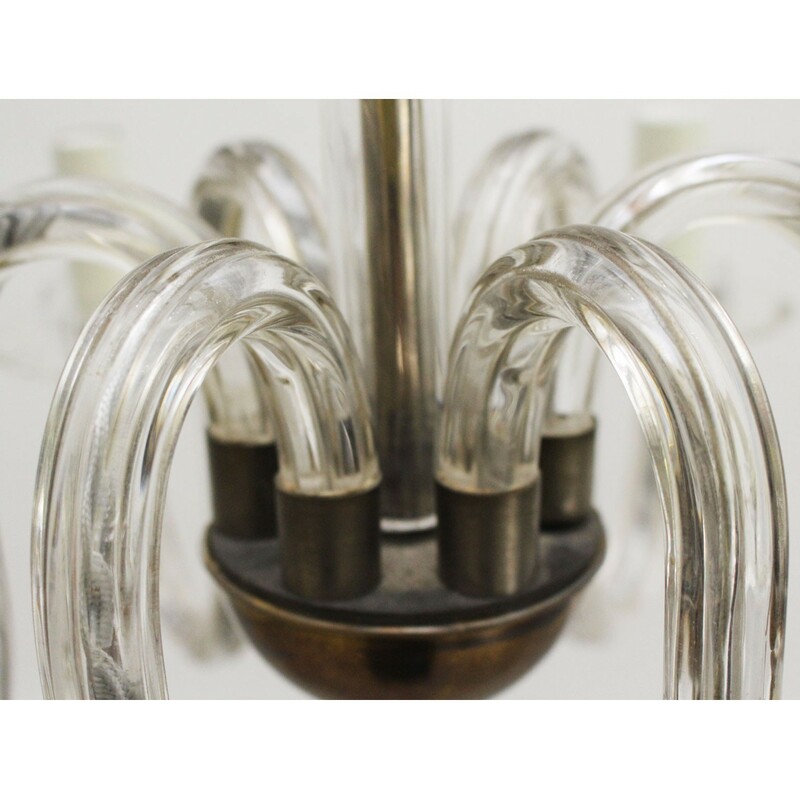 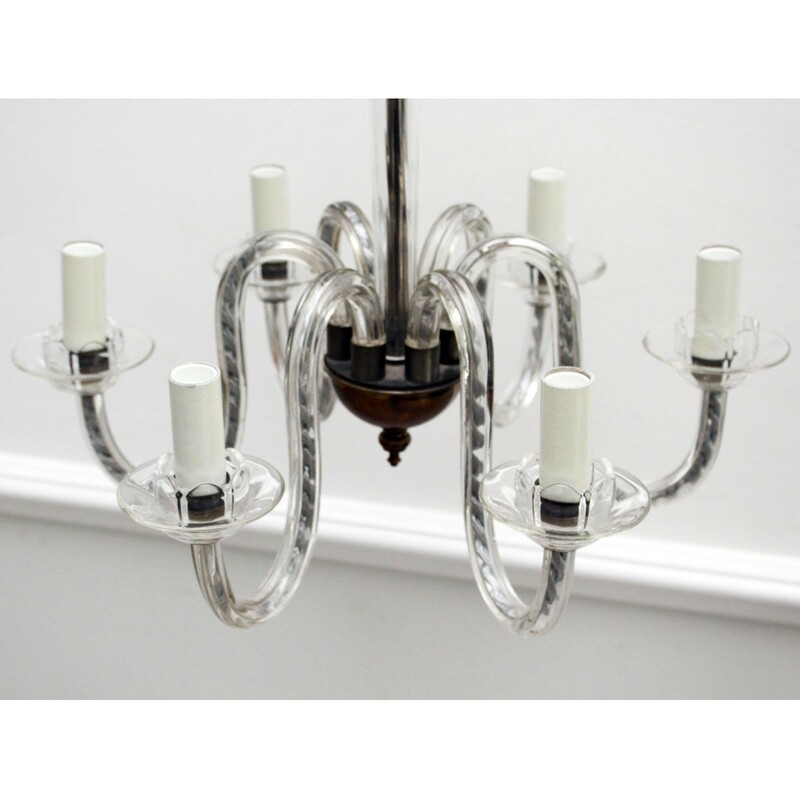 An elegant and high quality Murano glass chandelier with glass arms, stem and ceiling rose. 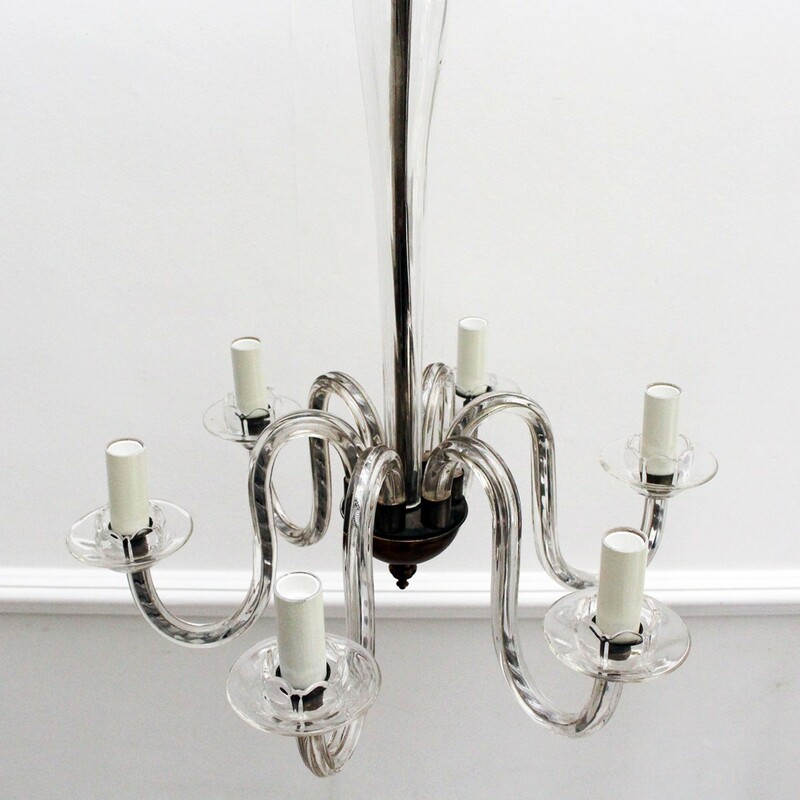 Condition: Excellent vintage condition. 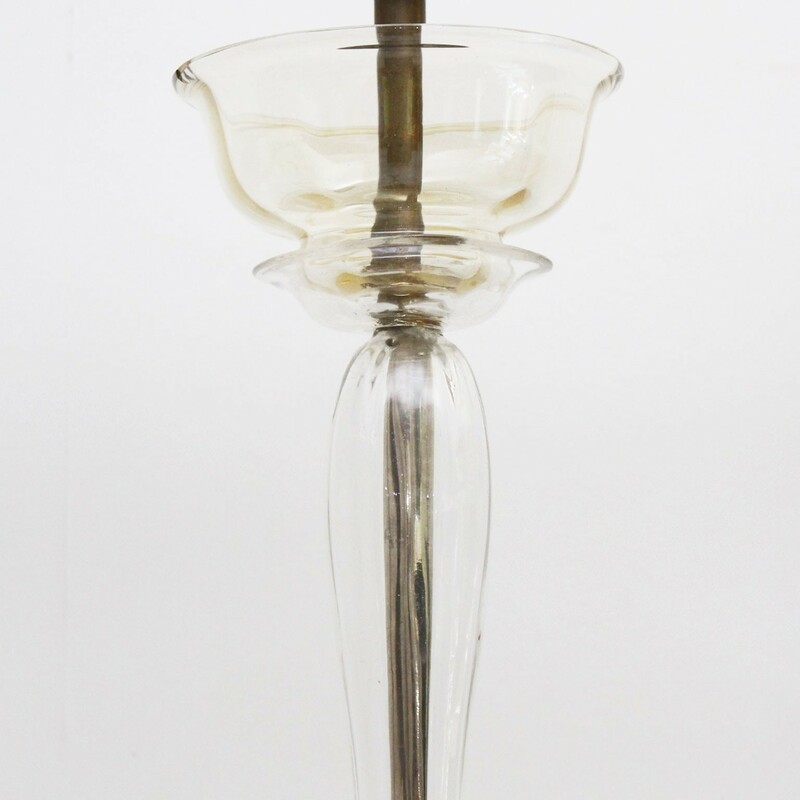 There is a very tiny chip at the very top of the rose.